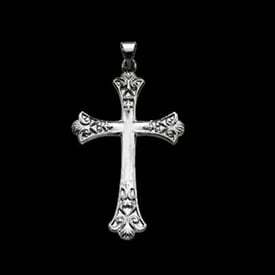 Platinum fancy diamond cross pendant. 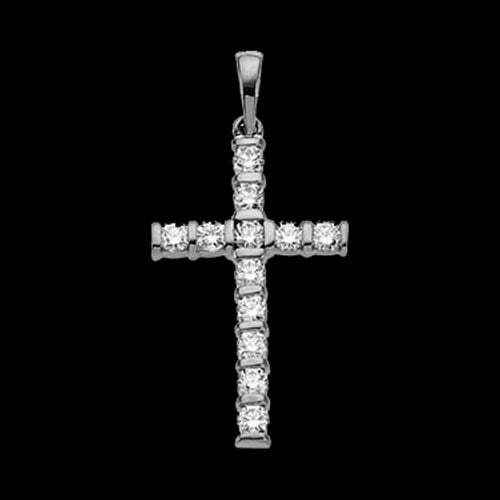 Gorgeous diamond cross is set with 3/4ct tw SI 1 clarity G-H color diamonds. 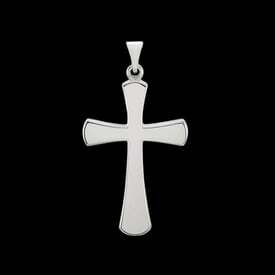 This Platinum diamond cross measures 24.5mm in length by 15.5mm across including the bail. The bail measures 3.75mm by 2.75mm, will hold a nice sized chain.